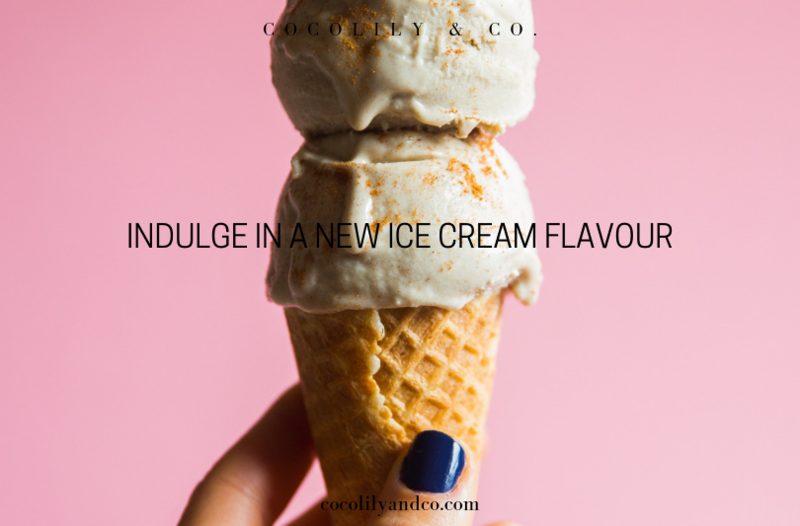 COCOLILY & Co. was formed with The COCOLILY Society following, bringing together like-minded individuals who believe in supporting one another genuinely and authentically. ...spark inspiration...celebrate ideas...share stories...be united by passion...feed the creative mind...connect authentically...learn, teach and support one another. 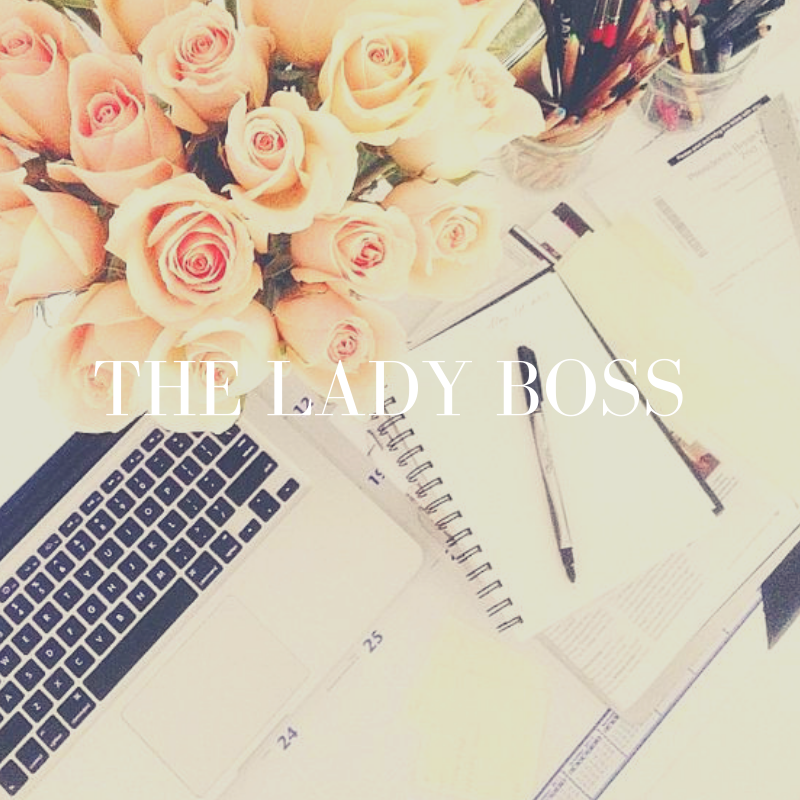 We are pleased to launch once again by giving away one LADY BOSS package (value $225)! Read more about The Lady Boss and what it includes by clicking here. Simply sign up for our monthly newsletter - COCOLILY Letter! It’s that time of year for new beginnings, hope and Easter. 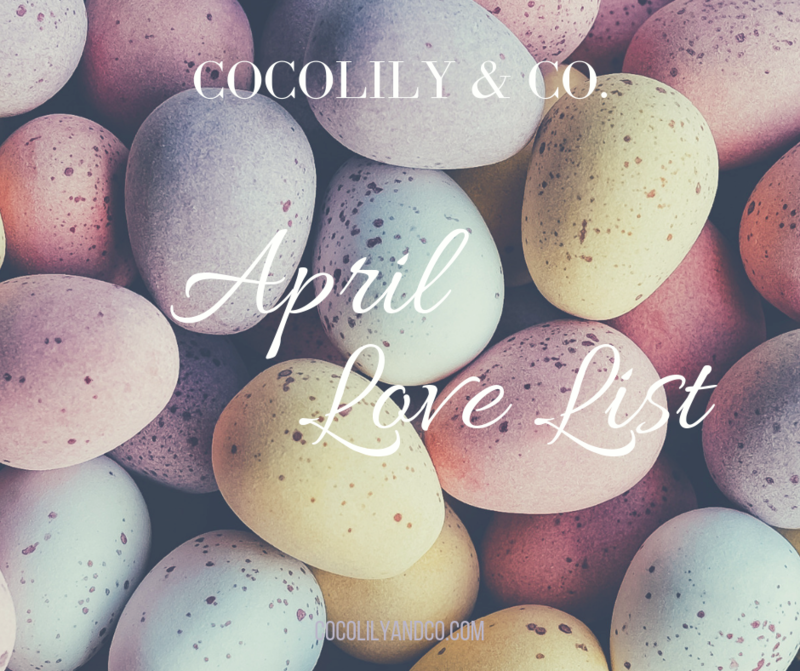 I love the month of April for so many reasons - here are a few ideas to help you celebrate April and Spring! Who doesn’t love to receive pretty packages in the mail? Especially when those packages are filled with goodies curated just for your lifestyle and what you love. 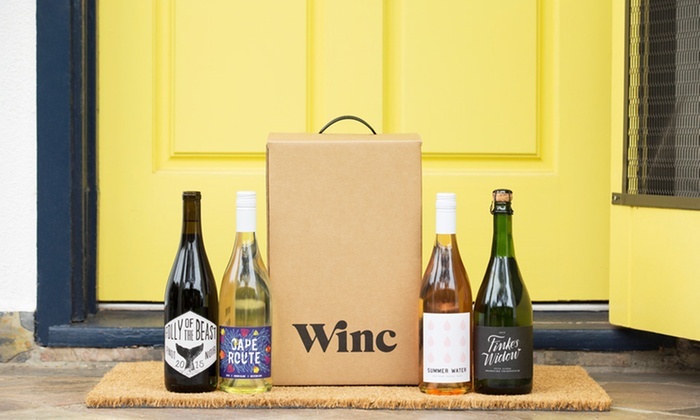 Here are our top picks for subscription boxes for women! FOR THE LOVER OF FLORALS AND ALL THINGS PRETTY. Singles Swag is the first monthly subscription service designed exclusively for single women. Treat yourself with some fabulous swag! For the bra addict and lover of all things pretty. 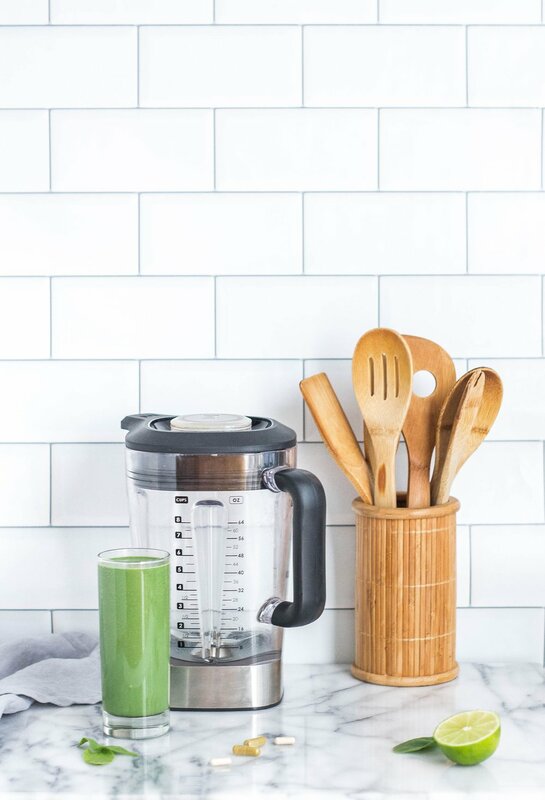 A CURATED SELECTION OF POPSUGAR EDITORS PICKS OF A WIDE VARIETY OF PRODUCTS. We know working from home has it’s good and bad points. It definitely is convenient to work from home, no over-head for office space and simple to get back to the desk after dropping off your little ones at school. 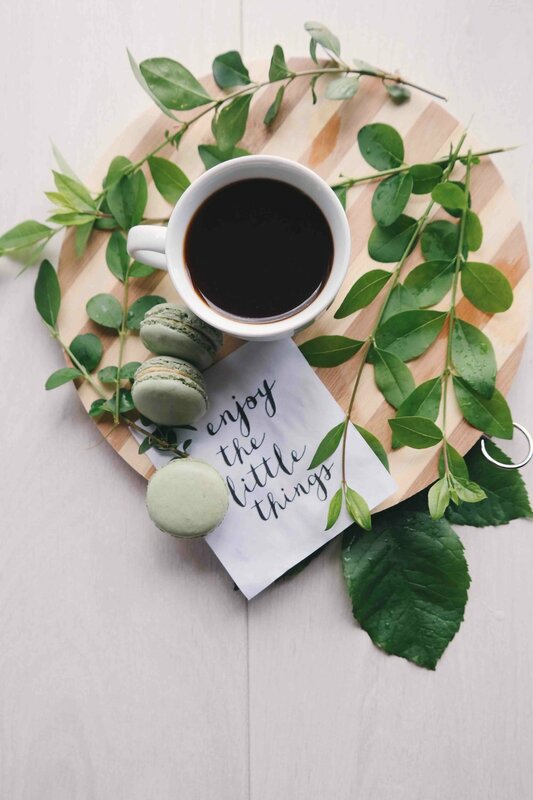 But sometimes you have to get out - whether it’s to meet with clients, your kindred business spirit or simply to have a cup of coffee and change your scenery. We have put together our top 5 cafes for the lady boss in Toronto. 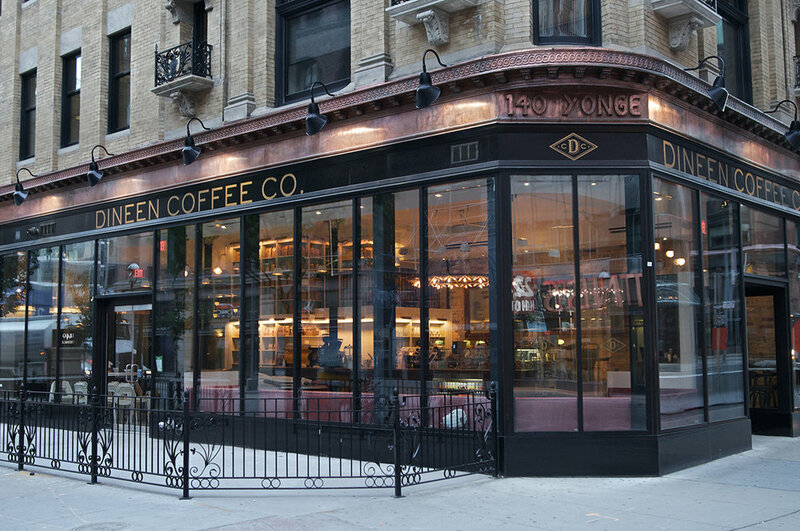 photo credit : Dineen Coffee co.
COCOLILY & CO. is on the search for a fabulous Lead Event Planner! This is a freelance position for all SIGNATURE COCOLILY EVENTS. 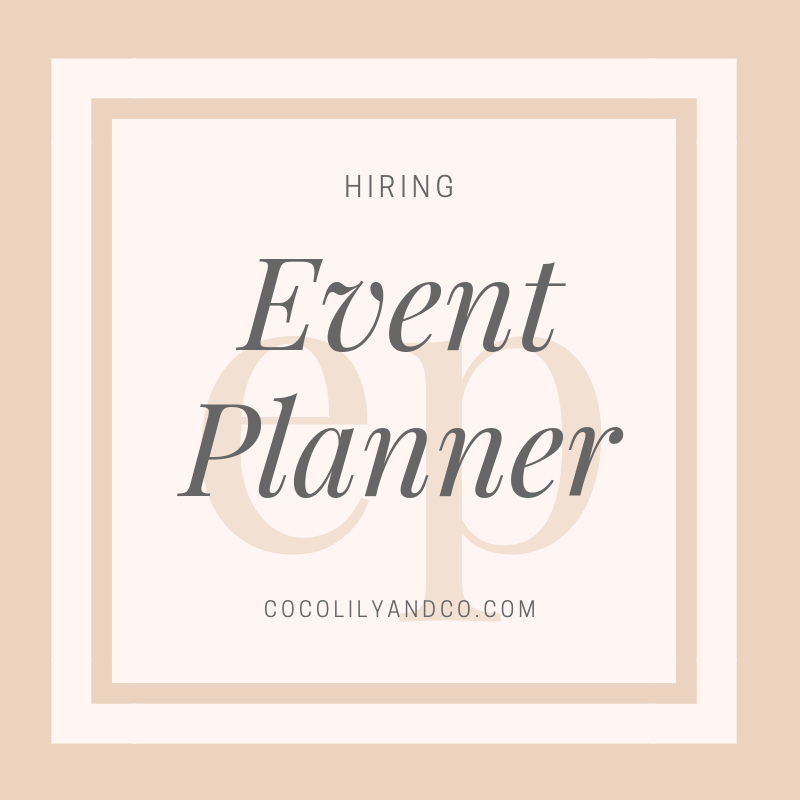 Ideally we would love to work with an established event planner who has their own business OR looking for part-time occasional work throughout the year. This is open to freelance event planners and/or those who currently have an event planning/management business. You have to be familiar with managing events that involve both vendors and consumers/the general public. We are looking at collaborating with one Lead Event Planner to assist with all of our signature events which include The Original Wedding Soiree and The Original Baby Soiree. This would involve managing vendors, logistics, sourcing & managing event volunteers, and of course day of management. Generally this requires one month of work prior to the event with a few meetings a year in advance to go over logistics, floor plan, etc. manage logistics of all events alongside the Managing Director of COCOLILY & Co.
being able to come up with possible solutions to any given situation. professional appearance; proper grooming, well dressed, chic hair, make-up, etc. Meticulously organized and attentive to details. Able to successfully relate to a wide variety of personality types. Able to remain calm and think clearly throughout periods of immense stress. We look forward to hearing from you and hopefully finding the most fabulous Lead Event Planner to collaborate with! Featured : Little Rose Cookie Co. This company simply began with a young lady in her kitchen creating special, customized cookies for family and friends to bring them joy. 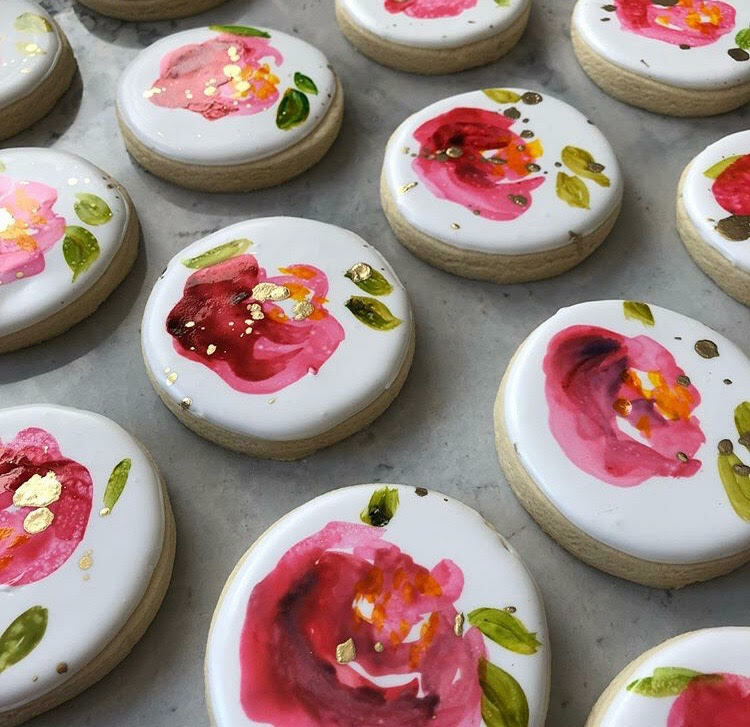 But as word of these impressive sugar cookies spread, business took off, and Little Rose Cookie Co. has grown to be one of the GTA's most beloved cookie companies. Each cookie is hand baked, fresh, can be completely customized, and is always designed and decorated with love. One of the most posh desserts around, we are confident you will fall in love with these unique treats! Enter to win 1 of the 2 items from Little Rose Cookie Co.
A. One dozen boxed cookies retail value $50. Visit our Facebook page or Instagram page for details. Naturally A Goddess is committed to bringing you a completely safe and natural product that you feel good about using on yourself and your family. Natural soap bars encourage moisture as it leaves the natural oils on your skin, aids in moisturizing your skin leaving it supple and hydrated as it gently cleans the skin. Rosewater deeply cleanses and moisturizes the skin, while maintaining the skin’s natural PH balance. It contains anti-inflammatory, astringent and antibacterial properties. Rosewater can effectively tone, moisturize, nourish and cleanse the skin without clogging the pores. Enter to win 1 of the 2 items from Naturally A Goddess. A few of my favourite picks TO CLOSE OFF February IN A FABULOUS WAY! The all-natural buckwheat hull filling of this Canadian-made pillow will mold to the shape of your child’s head and provide head and neck support. The filling is breathable and will help keep your child cool and comfortable. The removable outer cover is machine washable. SPECIAL DISCOUNT FOR COCOLILY LOVELIES! This striped, color-blocked hand towel is luxurious and modern-looking. Woven from 100% natural Turkish cotton, it’s designed to be extra-soft to the touch. The Soho Mini is highly absorbent, dries quickly and is the perfect complement to any bath or kitchen décor as a hand towel. Receive a 25% discount. Upon check-out simply add the discount code "cocolily" to apply! This is their softest bar yet! It’s mild and gentle for your baby’s soft and precious skin. The light aroma of lavender essential oil will provide calming and soothing feelings, as well as sooth occasional skin irritations. The calendula plant is amazing for the skin and perfect if you have sensitive skin. It has excellent moisturizing properties, nourishes the skin, is an antioxidant, anti-inflammatory, anti-fungal, anti-bacterial and anti-viral. Receive a 10% discount. Upon check-out simply add the promo code COCOLILY. Little Rose Cookie Co. specializes in personalized sugar cookies for every occasion. Each cookie is baked from scratch and custom designed to your style or theme, and you can be sure your special event will be one to remember with these decadent treats! Use the code COCOLILY for 10% off on the website when ordering cookies. Robot and Dinosaur is a Toronto company that makes buckwheat pillows for moms and kids. This Canadian-made pillow provides incredible support and is perfect as a pregnancy, breastfeeding and body pillow. The buckwheat filling allows the pillow to contour to your body. It does not retain heat so it will help prevent overheating. The removable outer cover is machine washable. Enter to win 1 of the 2 items from Robot & Dinosaur. 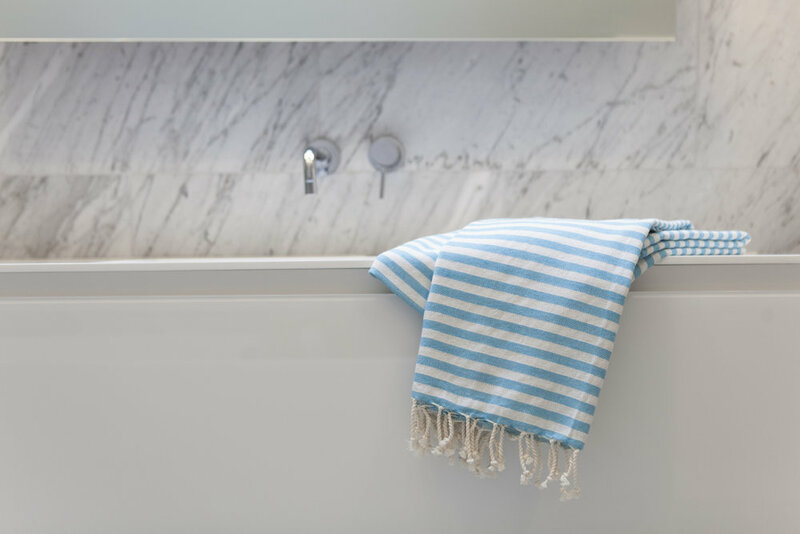 Featured : Pamuk & Co.
Crafted from the highest quality Turkish cotton and using an ancient hand-loomed method that was reserved for royalty, these towels are a stylish and luxurious accessory. The waffle weave towels are woven from finest 100% Turkish cotton threads on manual antique weaving machines – these towels are so soft, and lightweight the deep waffle texture is unbelievably absorbent. Be the envy of everyone at the beach or pool with our Cabana model. Vibrant, fashionable and woven from 100% natural Turkish cotton, the Cabana is also lightweight, making it popular for traveling. The all-natural cotton tassels and fringes are hand-made and lend it a fun and exotic look. You will never want to leave home without it! Enter to win 1 of the 2 items from Pamuk & Co. Celebrating love with your little ones is truly precious, especially when they are still little and want to snuggle up with you. 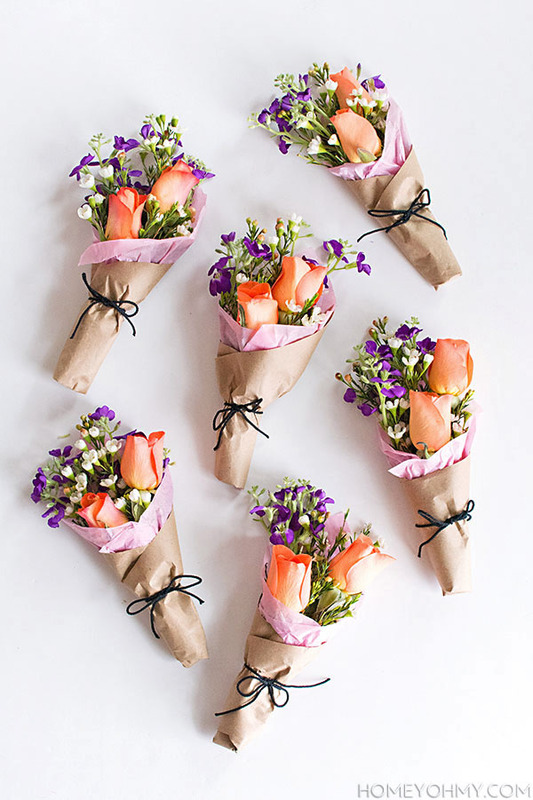 Here are a few of our favourite ideas for Valentine’s Day. It’s the perfect thing to do if its cold out and you all just want to snuggle up together. Bring out the pillows and blankets, and get comfy for a Valentine’s Day favourite like A Charlie Brown Valentine or a sweet Disney classic. Spend some quality time at your local cafe and order some yummy hot chocolate along with a special cookie. Put up sweet decorations around the house to celebrate the day. Make heart-shaped pancakes for breakfast. Read Valentine’s Day themed books such as Llama Llama I Love You and Happy Valentine’s Day, Mouse! Make the morning a little extra special by posting love notes on their doors. We love this idea from Coffee Cups and Crayons. We love Galentine’s Day! This February 13th celebrate your love of your lady friends by hosting your own Galentine's Day celebration. Galentine's Day was introduced by NBC's Parks and Recreation and is all about ladies celebrating ladies and honors friendship between women. Grab a few of your besties and celebrate your friendship with a few of our ideas. This is always a good idea! 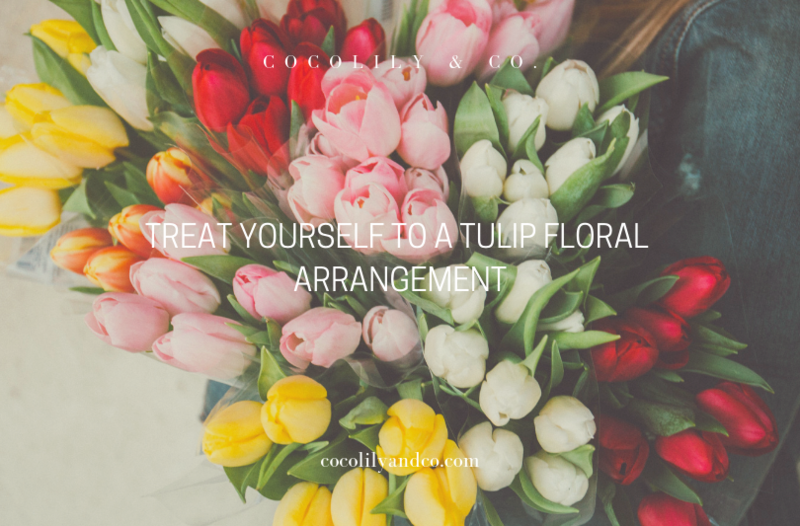 Treat yourself and your ladies to a spa day for a manicure, pedicure, facial or other luxurious treatment. 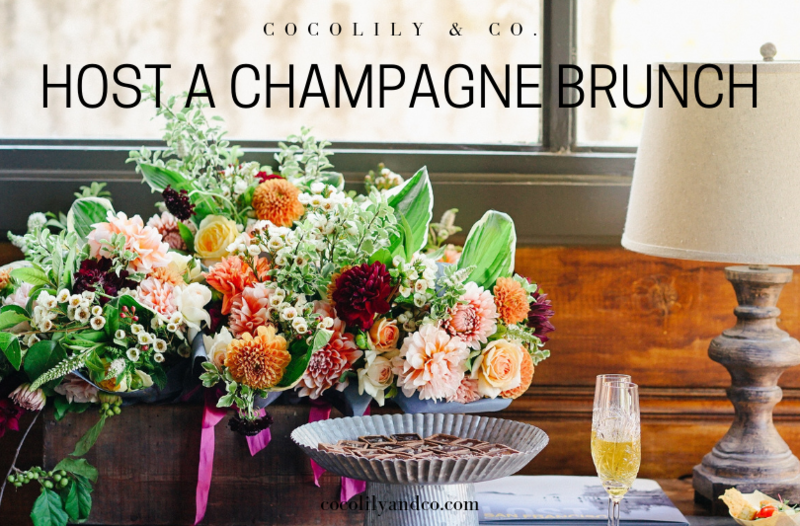 This is a classic for a reason and be sure to do this while sipping on some champagne. 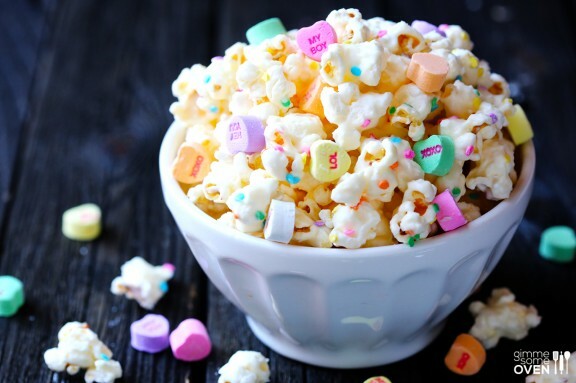 Have a Movie Date Night. Rent a hotel room in your local city or at a spa resort with your besties or your mom. Treat yourself to a spa treatment, order room service, stay cozy in bathrobes and lounge around chatting the night away. Have an Ice Cream Social . You can head to your favourite ice cream shop or host a night in complete with toppings, cones and sundae-making bar. A wine tasting is a fun way to try new flavors and catch up with your gal pals. Choose a nearby winery or a restaurant with a great selection of wines, and be sure to book in advance. Plan ahead and make reservations at a gorgeous restaurant first and then take in some culture by taking in a play, ballet or symphony.